WITH some 35 years of travel scribbling behind us we're pretty much used to jumping on the web and doing our own thing when it comes to getting there and doing that, but with an over-sized wish-list and conversely under-sized time frame for a recent trip through Southern Africa, we opted for once to get everything put together by an Africa-specialist travel agent. And on the advice of industry mates we settled on Bench International, who have been selling Africa in this country for far longer than we've been scribbling. It was a good move: a bevy of consultants who rolled off every possible travel option by planes, trains and automobiles - plus a few by houseboats as well, and where best to stay in a mix of budget to best - also knew we were after a private game reserve at which we'd be assured an encounter with the magical big five of lion, leopard, elephant, Cape buffalo and rhino. Fiona Orton, Bench's product director, suggested Sabi Sabi Private Game Reserve in the Sabi Sand Wild Tuin bordering the south-western corner of famed Kruger National Park. Just an hour's flight from Johannesburg, it was again a good move. Sabi Sand has been a game conservation area since 1898 and today covers 65,000 hectares on which an extraordinary 850 species of animal, bird and aquatic life abound on 13 private game reserves, including Sabi Sabi (that's actually four distinctly different-styled groups of luxury private lodges). 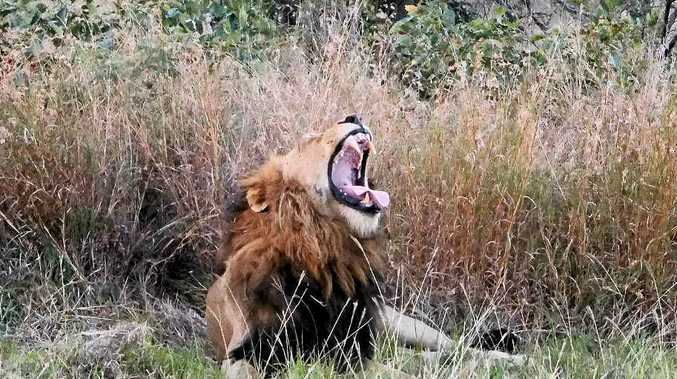 Arriving mid-afternoon, we were soon off on their three-hour evening safari aboard an open Land-Rover with sharp-eyed ranger and tracker, as nocturnal animals began to stir and day-feeders started to settle. Almost instantly we were up-close - on occasion almost literally eyeball-to-eyeball - with more animals from A-to-Z than at times we could scribble down and capture on fumbled cameras… including numerous sightings of four of the Big Five (all but the elusive leopard). But a 6am safari the next day totally rewarded our Sabi Sabi stay with hippo and crocs in the river, elephant, giraffe, kudu, zebra, buffalo, rhino, warthog, a pack of endangered wild dog, impala, baboon, absolutely countless bird species, even the fragile-looking, timid and not always seen steenbok, a couple of cheetah and several lions. And yes, in the shade of a thornbush, a magnificent leopard drowsily settling down after a night's hunt, kill and feast on a massive 4m rock python: just 18 hours after arriving at Sabi Sabi, we'd captured all Big Five on one three-hour game drive - our ranger, Marcus Hack pointing out that with no hunting here for generations, the animals today are totally relaxed and unperturbed by human presence. Then back at our Sabi Sabi Earth Lodge it was time to put the feet up in one of the 13 individual, concealed lodges sculpted into low slopes, and accessed by almost-hidden corridors from the reserve's pathways ensuring absolute privacy. 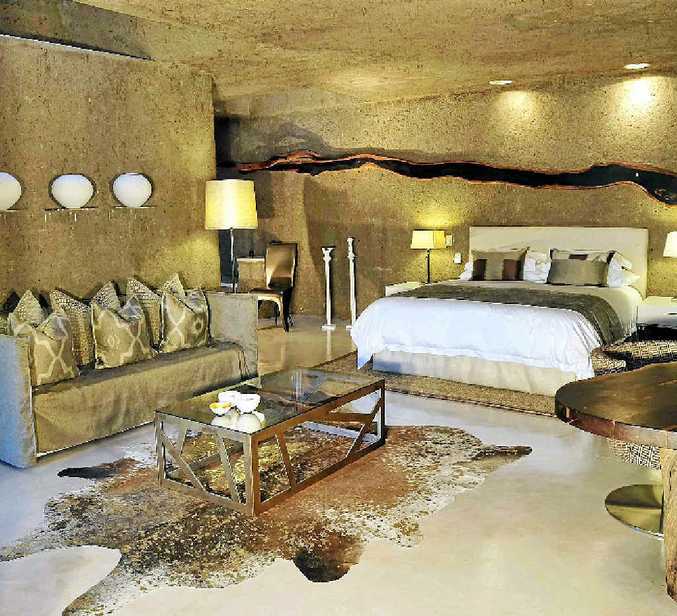 These hidden, palatial retreats are vast in size with king-beds, private plunge pools, million-dollar views over the surrounding bushveld, outdoor showers as well as spacious indoor ensuites, and unique natural wooden sculptures that capture the essence of the bush… have we, we ponder, found here our Africa heaven? And at the main lodge complex, indoor/outdoor dining overlooking a waterhole that attracts constant wildlife activity at which to marvel, views across the bushveld, a library, art gallery, even a meditation garden… and a 6000 bottle underground wine cellar. Plus the most wonderful 5-star dining including local specialties such as dukka-spiced loin of kudu with hummus flavoured potato mash, cous cous and gremolata-crusted linefish … and to finish, decadent chocolate Ferrero Rocher cake. Then to complete the night, a chat and nightcaps under the stars around a roaring fire in the outdoor boma whose walls have been sculpted from tree roots. And when time to return to our hidden lodge, a ranger to accompany us - for it's not unknown to have for wild animals roam through here at night.